Exploring the relationship between sound and picture, this film is inspired by the two lights (twi-light) found inside of film projectors. 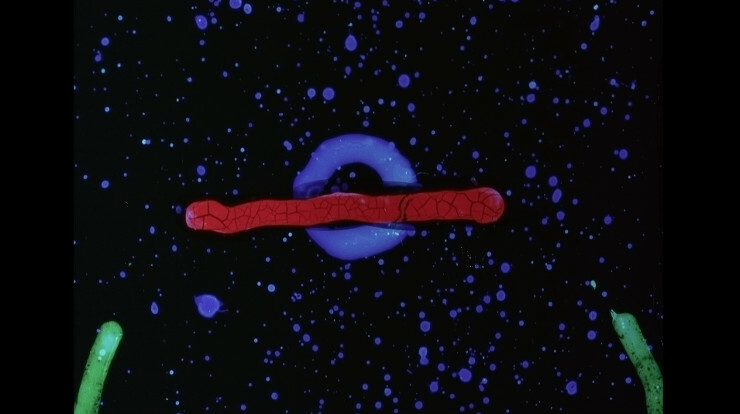 The animation was created by applying both sound and picture directly onto 35mm film. After the soundtrack was created, each individual sound was assigned a specific shape and colour that repeats throughout the composition. Visual shapes were airbrushed and hand-painted onto orange mask (negative film), then printed positive for further manipulation by bleaching or scratching into the film's emulsion before the final print copy was made. Sounds were made by drawing Spirograph moire patterns onto clear mylar sheets. The patterns were then cut out and stuck on 35mm film optical sound area, played through a moviola, and recorded into a computer for composition. Many sounds are just one to twelve frames long. The pattern starts with a radar beep and expands into a constantly building loop until the entire optical sound film surface is covered in sound shapes.